Saugus Speedway legend “Sad” Sam Stanley began his racing career in the early 1950s. He raced at the Saugus Speedway in front of thousands of fans and has since seen the racing culture evolve. Today he is a racecar owner and has helped keep the Santa Clarita Valley’s racing community vital by mentoring a team of drivers. 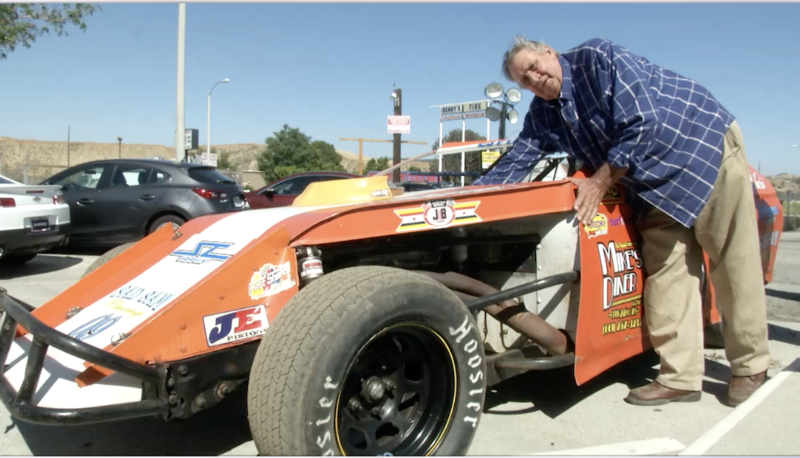 Not only is he an important member in the history of the Santa Clarita Valley and racing community, but he has also been a contributing member of the Castaic community. Sad Sam drove for Charlie Wagoner in the early 70zzz , NASCAR Grand National Late Model #47. I was one of the pit crew members , typically called ‘hippie’. Sam , a big , indegenous man could baret fit inside the car , a ’71 Torino , but we stuffed him in , and lookout , he made it all too much fun. The only time we ‘placed’was 3rd at a dirt track in central California that was owned by ‘Blackie’ , a real character. One race at Ontario international Speedway , AJ Foyt was passing him on the front straight and gave him a ‘Bump’ just to let him know who is ‘The King , the Boss’ so the damage was a ‘autograph’ from Foyt , acknowledgement of Sam’s validity on the track. We did a complete NASCAR West Coast Tour and ‘finished’ each of the races. Sam was quite a mechanic on everything small to giant. He was a amazing body and paint expert. His heart of love was as huge as he was , 6’6 250# maybe 300??? Always would give you the shirt off his back. Much more to share , but this venue may not go anywhere , so , if it does , feel free to contact me. Thanks for sharing your memories. I definitely agree about his heart being as big as his body. Do you still keep in touch with Sam? Why won’t the video play? I’d LOVE to show it to Sad Sam Stanley.